At a border checkpoint on the Estonian-Russian border hi-tech X-ray technology is used to look for contraband in vehicles, but by mistake a young child has been X-rayed, which has prompted mother to consider suing border guards. 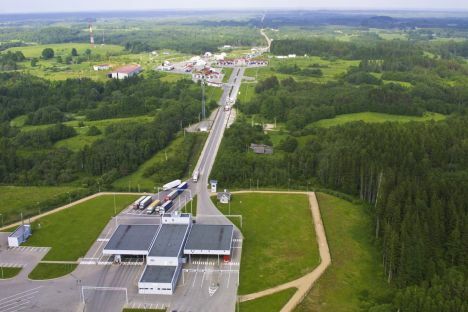 Estonian public broadcaster ERR reported on Thursday, September 28, citing the Postimees daily, that at the Luhamaa border checkpoint the Estonian Tax and Customs Board has been using a state-of-the-art X-ray screening technology since 2017. Specialists have commented that dose of radiation the chind has received could not have been hazardous to the child’s health; however, the child’s parents still plan to sue the customs body to court. The mother of the child has said she had not been aware that her child would be X-rayed and the customs official had tried to cover up the mistake.